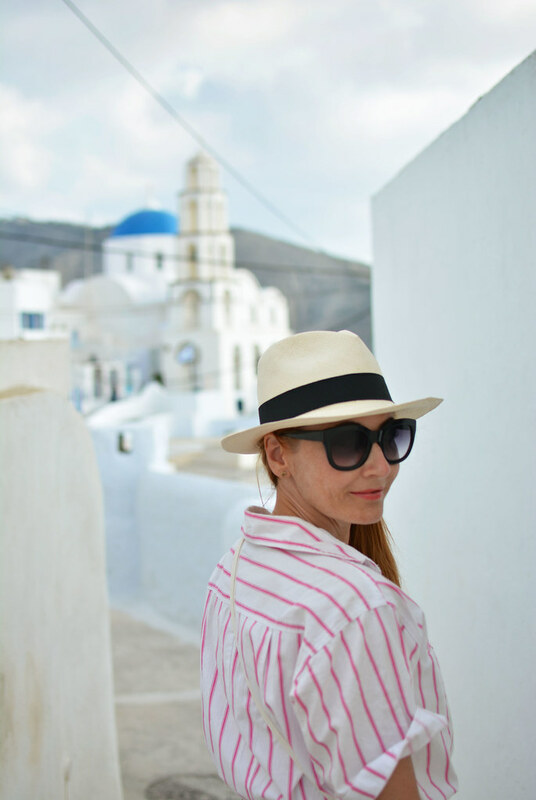 I’ve featured the pink and white striped vintage DVF jumpsuit I wore in Santorini for today’s link up: A little more subtle than all pink, but I hadn’t worn this jumpsuit in the UK this summer (blame the weather) and it suited the beautiful scenery in Santorini to a “t”. I’ll let the photos do all the talking about the town we explored (Pyrgos) – I couldn’t possibly do it justice in words. That leaves me to mention the gorgeous red leather sandals I bought while on holiday (they went so well with the jumpsuit), the fringed white crossbody bag that made a perfect holiday addition (and so much better than my black one) and the beautiful ring that the husband bought for me. It has olive leaves on it, and as he bought me a ring on holiday last year in Cornwall I suggested to him that it becomes a tradition every time we go on holiday. Tell me: Are there any souvenirs that you always have to buy on holiday? I always have to get a fridge magnet, a tea towel and a pack of playing cards. And now the aforementioned ring, of course…! P.S. 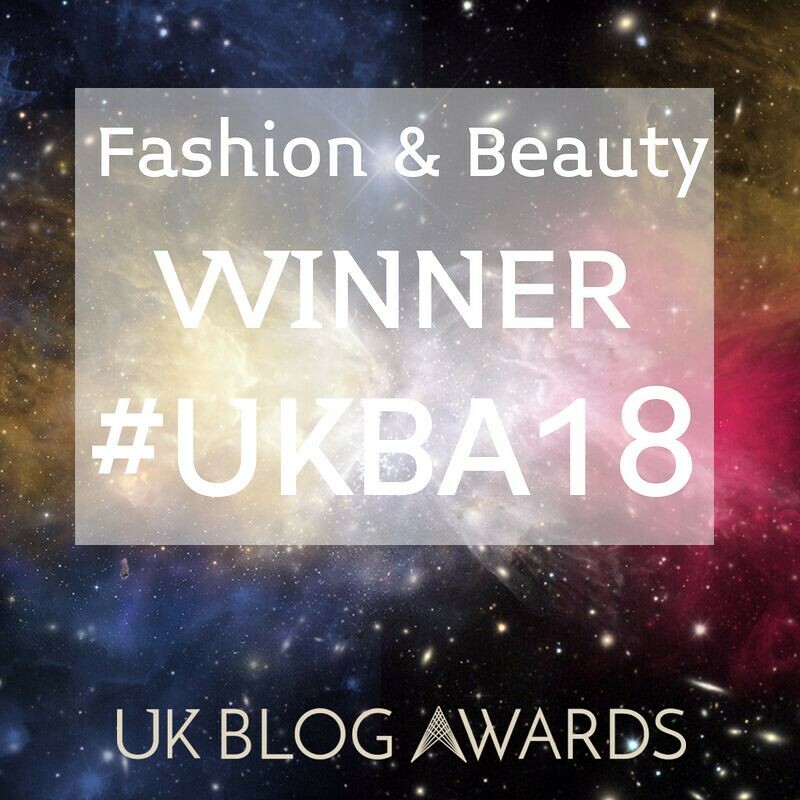 I last wore the jumpsuit here in 2014 – that was on holiday too, funnily enough…! Someday I'll get to Santorini. Loved your little tour! Love this fresh, casual look, Catherine! The stripes against that glorious background are amazing! Aww Mary how nice of you to say, thank you!! Really love this vintage jumpsuit. Perfect for Greece. I hope to travel there someday! 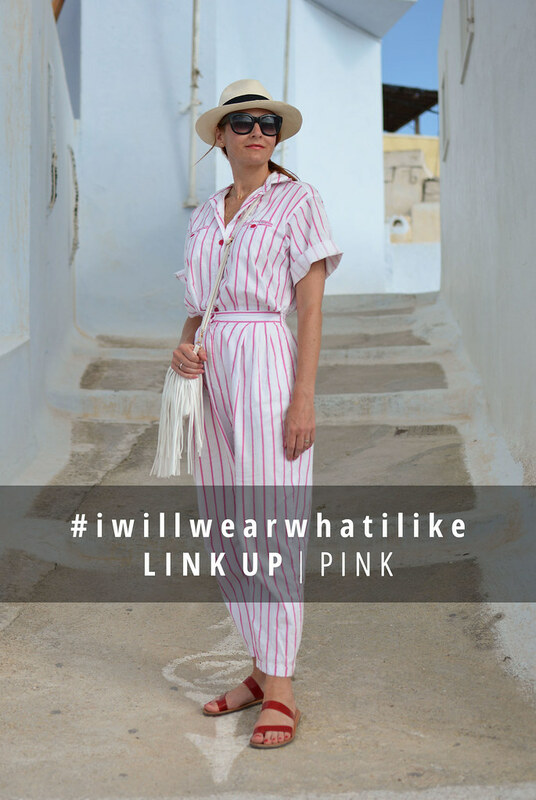 You look fabulous in your pink striped jumpsuit! I love pink and am wearing a pink linen dress in my new post. I too am always happy to get a piece of jewellery on holiday. 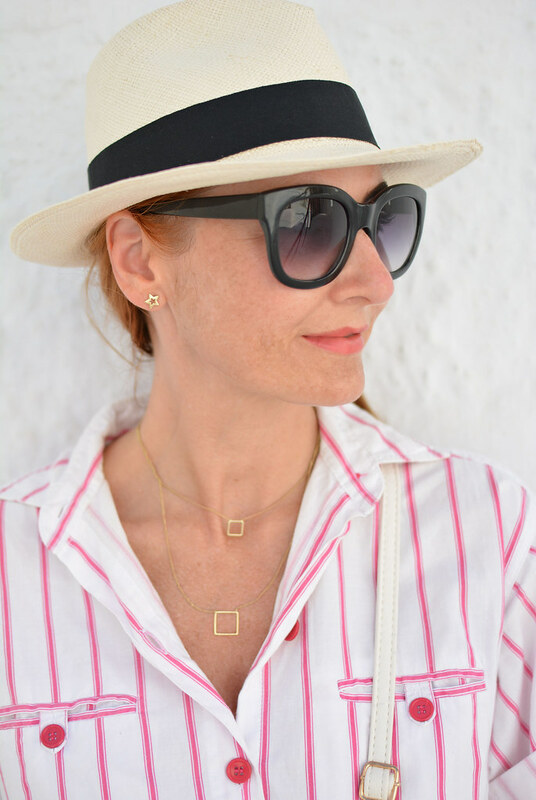 There is a great selection in Santorini, and I am in total LOVE with that ring! And those red sandals too. LOVE. IT. hehe that's a great compliment, Alicia – thank you! I love this look, looks summery and perfect for your locale! I love that it is classic and vintage DVF!Wow, the pictures look amazing, I wouldnt mind being there myself! Love the details, the ring is very pretty. Thanks for hosting as I always wear what I like! As a lover of vintage, I adore your jumpsuit. Thanks for hosting, Catherine. I love the concept of wearing what makes us happy at any given time in our life. Yay! 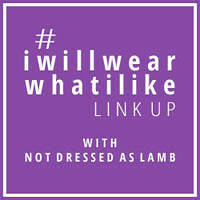 The #iwillwearwhatilike link up! I love Mondays!! Catherine, I just realized something rather tragic: I don't wear much pink. I can think of one post–and it's just because I used a pink clutch. This is so interesting to me; I do look good in pink. What makes one wear it? I know you do….now I'm just wondering why I don't. It's a rather silly question, but because of this post, it's now on my mind. I'll be getting back to you on that one! Anyway, this jumsuit is truly ADORBS! Love it!! beautiful pictures! love the jumpsuit! What a fun jumpsuit – it looks perfect for beautiful vacation! What a great tradition Catherine! Um… maybe I should twist TallBrownFox's arm as he's bought me two rings on holiday in the past – a pearl one on our honeymoon in Oz and another one in France. Your jumpsuit was the perfect choice. Uncomplicated, relaxed and not overdone. And it's far from being pj territory. Thanks for the linkup, Catherine! You look fantastic in your striped jumpsuit and compliments on your husband wrangling. Heh. 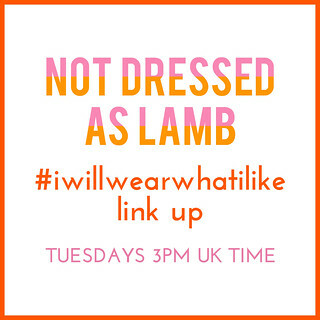 I had fun with my first tutu linkup but a very pink outfit the post before so I put up both. And I joined in your Instagram too. So many beautiful women here. What great photos and I LOVE that ring. This outfit is perfect for the setting. When on holiday I try to only buy practical souvenirs which normally means clothing. (Not that I'm complaining!) Otherwise photos and memories are what I bring back. Great jumpsuit! 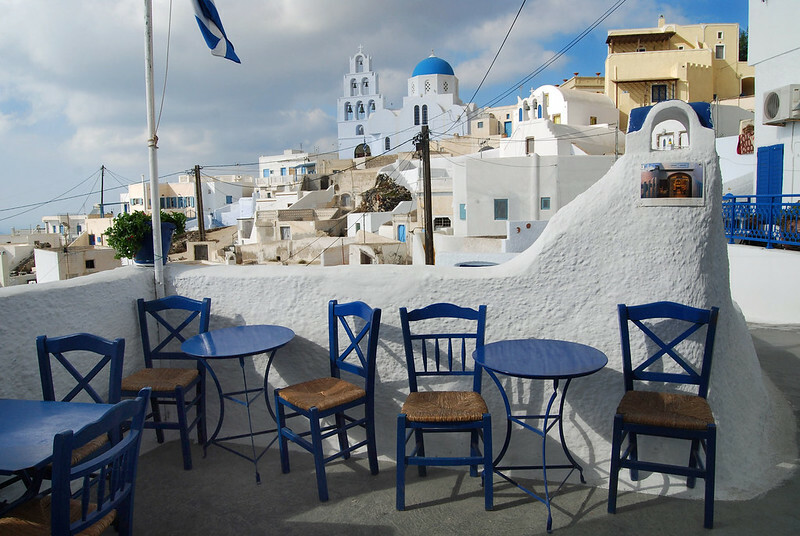 And wonderful Santorini photos! I like the idea of buying a ring on vacation! I usually try to buy something to wear (often scarves), a bag, or jewelry. oh gosh really, Michelle?!! thank you!!!!!!! Catherine, the red sandals and fedora are simply smashing! 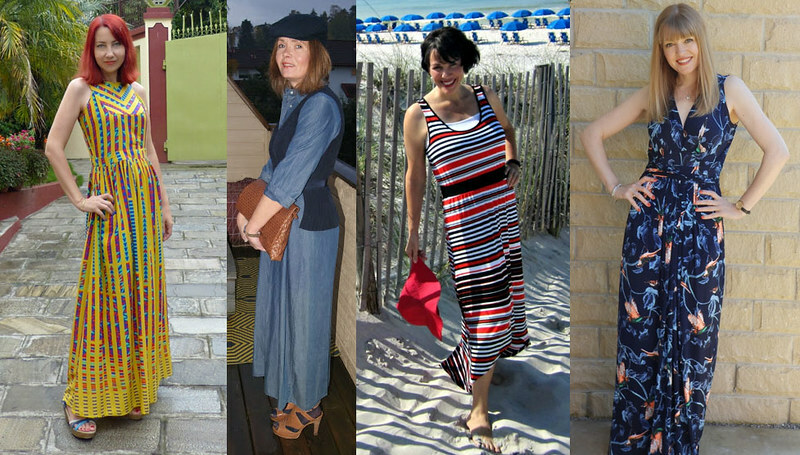 Thank you, so much, for featuring my maxi dress from last week…what a treat! LOVE this outfit, Catherine. Every piece just falls into place and it truly is perfect for Santorini. 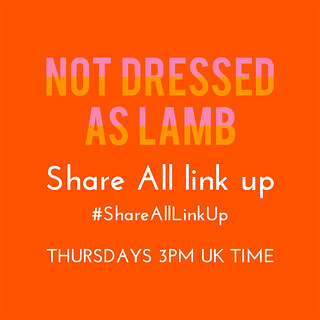 Thank you for hosting the link up! Aww it's my pleasure, Janise – and thank you for the lovely comments!! I love this jumpsuit on you. And manipulative? Hmmm…. I would say clever LOL. I love buying clothes abroad. You are as cute as a (stripy) button in this, Catherine. 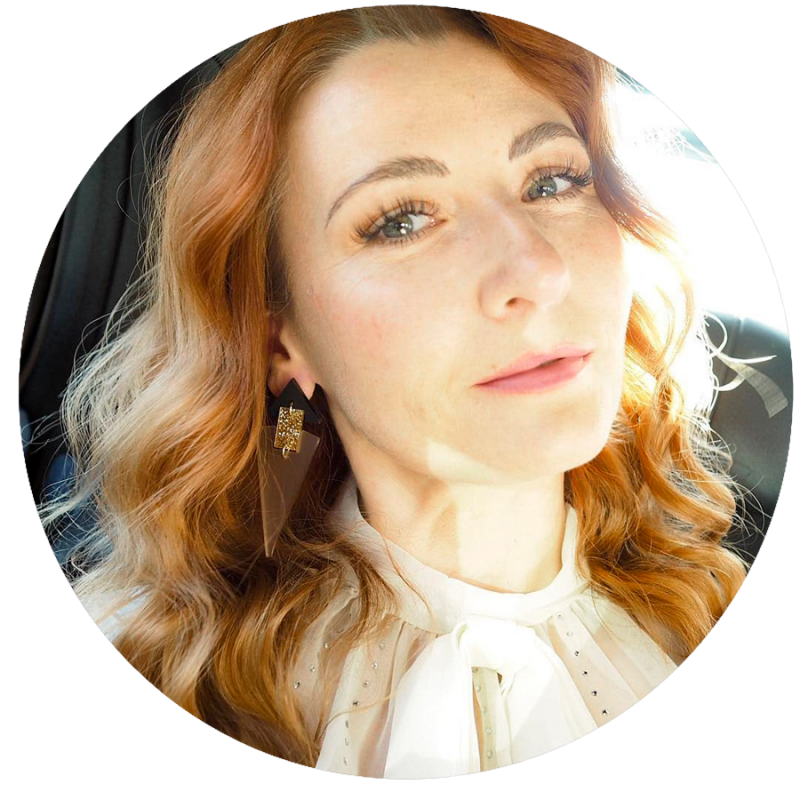 And to whoever said that jumpsuits were ' shapeless' and gave women the 'baggy bum effect', killing all signs of a figure, should check out your 'rear view' shot….hello fabulous curves! What a tricky item to pull off! It could have easily ended up in Pj territory. Over thinking this would have ruined the look. I really like the way you did not go down the usual jumpsuit route of "dressing it up with heels"…so refreshing to just go all out casual (but feminine) comfort. It looks so cool and perfect for the heat. As for your ring…great tradition (must keep that one going). Samantha I *always* fear that this jumpsuit looks like pyjamas!! I've pondered over dyeing it so that it's more of a solid colour, but I think it would lose some of its charm. And thank you for the compliment about the rear view… I'm blushing now!! Though I do think the photo was taken at a split second when I was in a flattering position for me buns, if you see what I mean…!! You look so cool, comfortable, and stylish in this outfit. What a great place to take fashion photos! A photographers dream! Love your red sandals! Your outfit matches the scenery perfectly, with all that white. What a wonderful jumpsuit and fantastic pics, dear Catherine. Sacramento thank you!! 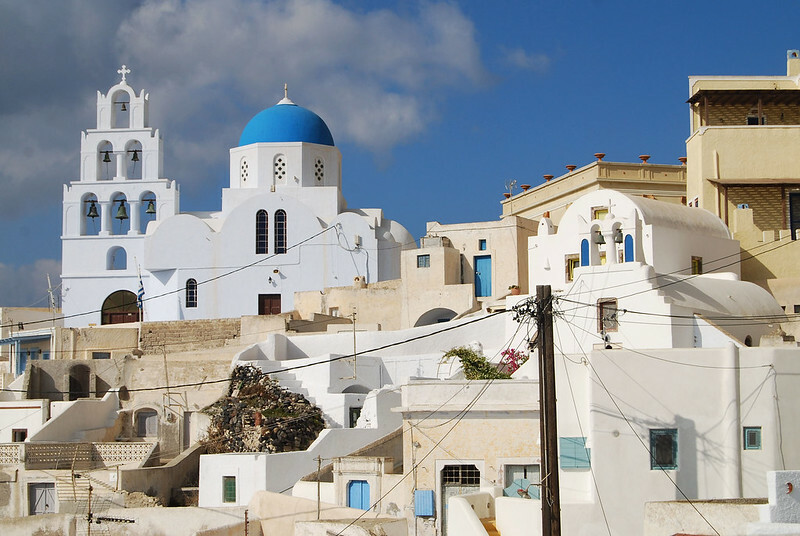 I guess *these* are the Santorini pictures you were after, no…?! !